Nothing much to say this week. 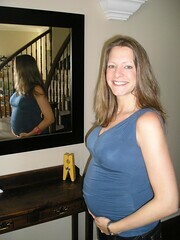 Shannon's belly is still getting bigger and we have less than three months to go! Posted by Anthony at 4/21/2007 09:52:00 a.m.